Yesterday we announced that Ridiculous Fishing ($2.99) scored our Game of the Year pick, but there’s loads of great games where that came from. Last year we broke out all of these games into multiple posts spanning all sorts of genres, even weird ones. We’re taking a bit of a different approach this year, and instead are only listing our absolute favorite 25. As we already mentioned in the GOTY post, there were 83,880 games released on the App Store this year. These games represent the best of the best, and if you’ve got the iTunes credit for it, I’d recommend downloading each and every one of these games. Racing games are a dime a dozen on the App Store, and to be honest I’d grown kind of tired of them over the years. Gameloft has been cranking out games in the Asphalt series for a decade, but it was their eighth installment which grabbed me by the throat and reminded me what it is I like about racing games. 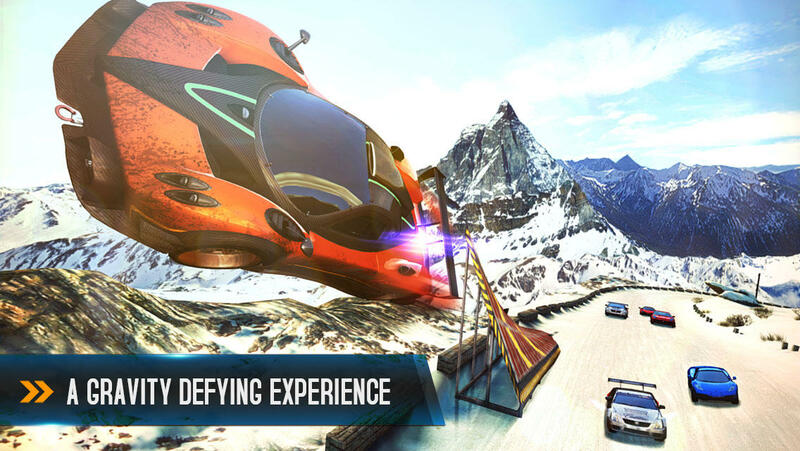 Asphalt 8 is an arcade racer through and through, and it wears it like a badge of honor. This is not in any way a realistic racing experience, and that’s what makes it so much fun. Flipping and spinning your car off of jumps, finding clever new shortcuts, and causing your opponents to crash in spectacular fashion are all the things that make Asphalt 8 such a blast to play. With plenty of well-designed courses, tons of licensed vehicles to drive, and several multiplayer options, Asphalt 8 has been my go-to racer since its release in August, and will happily live on my device for a long time to come. When Backflip Madness first launched early this year, I never would have imagined I’d be talking about it in our Best of 2013 list. Upon first blush, it seemed like one of those quirky throwaway titles that are prevalent on the App Store. It seemed so shallow, just make your gymnast character successfully perform a backflip and land back on his feet. 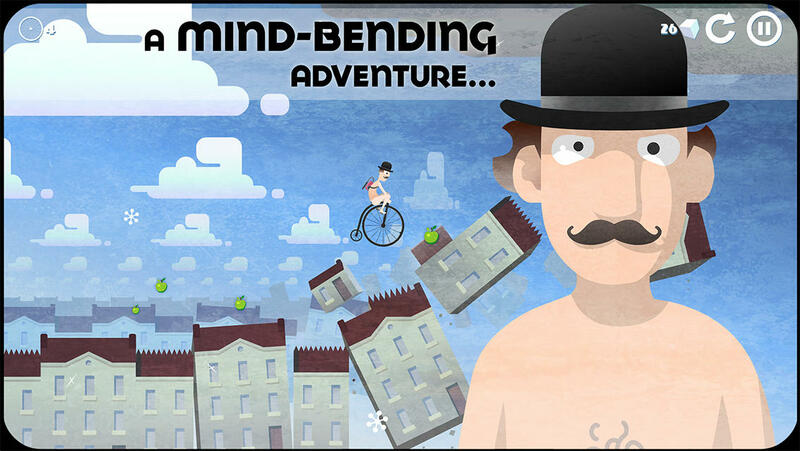 With ragdoll physics and quirky visuals, Backflip Madness seemed like one of those games I’d toy around with for a few laughs and then quickly forget. Boy how wrong I was. It turns out, there’s a whole lot more depth to backflipping than I ever imagined. Whether you’re going for simple backflips just to complete a level, or going for more complex backflips aiming for a higher score, there’s just something about Backflip Madness that keeps you coming back. We had Badland on our radars prior to its release due to the game’s wonderful visual style and atmosphere, but I don’t think we were prepared for how good it would be when it finally released in April. Badland succeeded in making an easy to play “one touch" experience that felt incredibly deep thanks to an awesome physics system and great level design. Getting your batch of mysterious flapping creatures to the end of each level was both challenging and rewarding, as long as you didn’t get TOO attached to the little buggers as it was all but inevitable that most of them would see a gruesome end before reaching the finish line. 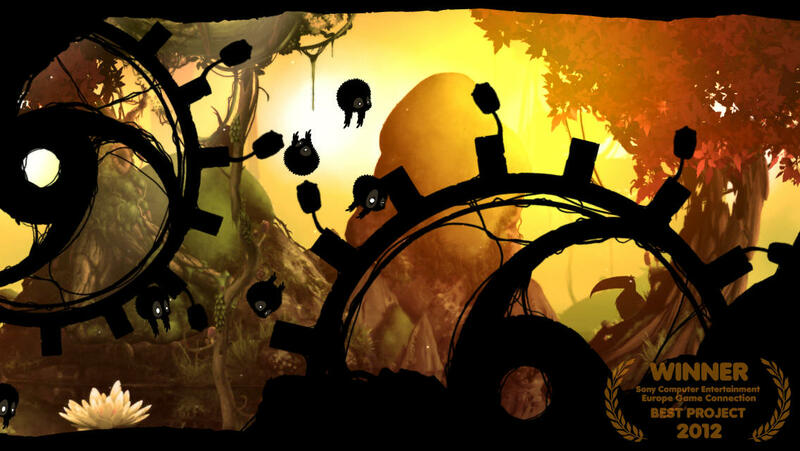 The strange world of Badland drew us in, and although the initial release felt a bit short in total, developer Frogmind has been dutifully adding to the experience with new levels and mechanics. As it stands now, Badland is a game that will last you a long time, and will keep you coming back for more just for the sheer enjoyment of playing. 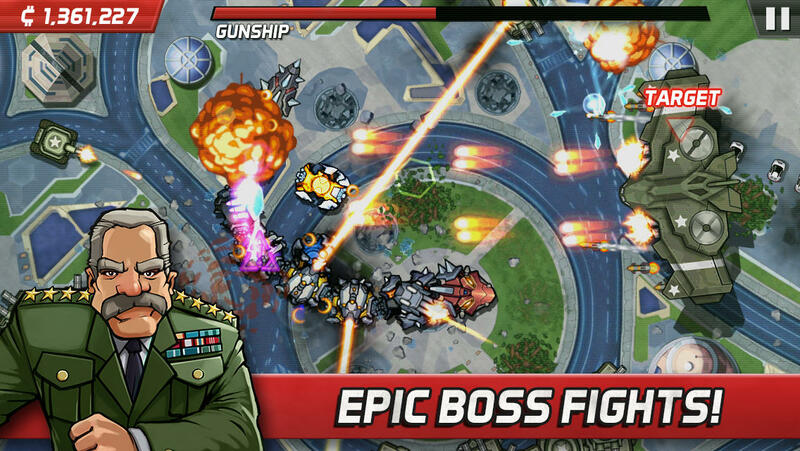 First-person shooters are a mixed bag on the App Store. There have been some wonderful releases in the genre of the years, but the nature of virtual controls means that no matter how well they are implemented there’s bound to be a group of gamers that can just plain never warm up to them. 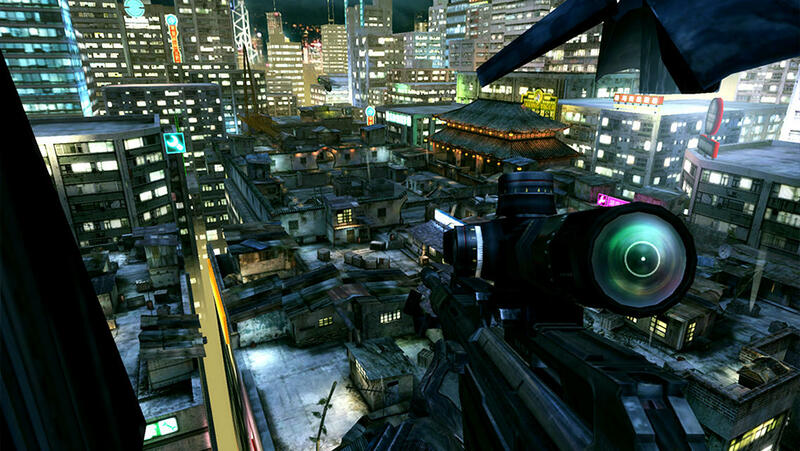 Call of Duty: Strike Team approached this problem in a novel way by offering the player the choice to use a traditional first-person perspective or a more tactical overhead view at any moment in the game. This not only afforded virtual control detractors a more comfortable way to play, but also added a whole new strategic element to the typical Call of Duty formula. You could literally play the entire game from the top-down view, directing your troops to do your bidding, or just hop into first-person mode at any time and get right into the action. 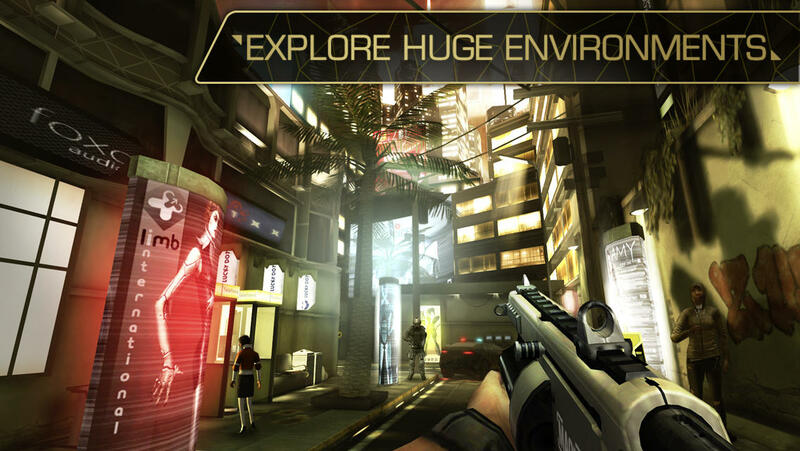 It’s a refreshing take on the genre, and something I hope more iOS first-person shooters adopt in the future. Coupled with the sky-high production values and over-the-top story that Call of Duty games are known for, Strike Team was a total winner. Halfbrick are the creators of one of the App Store’s all-time classics in Fruit Ninja, and they aren’t known for making bad games. However, their first release of the year, Fish Out of Water, was somewhat underwhelming despite having some unique ideas and high production values. When they started teasing their next release Colossatron over the summer, I wasn’t really sure what to expect. 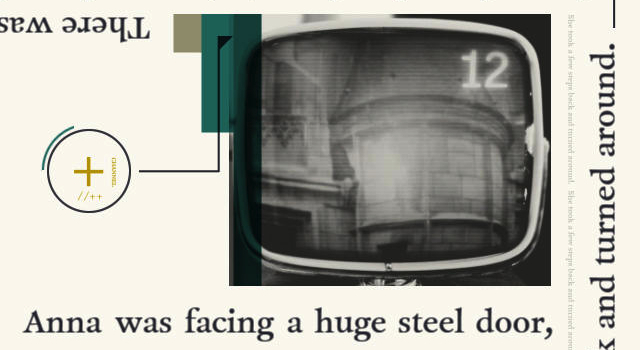 Well, as it turns out, there is much more to Colossatron than you might think upon first playing. Using a deceptively deep matching system to power up the destructive snake known as Colossatron, the strategy is surprisingly varied and deep. What starts out as a game you feel like you’re just sitting back and watching play itself quickly evolves into a frantic race to create the proper matches and upgrades to ensure your Colossatron is the destruction-bringing beast you need it to be. The original Cut the Rope was a runaway success back in the fall of 2010, ticking all the boxes of what makes a great mobile title. An adorable main character, novel use of the touchscreen, and brilliantly-designed levels that urged you to keep coming back to improve your score. 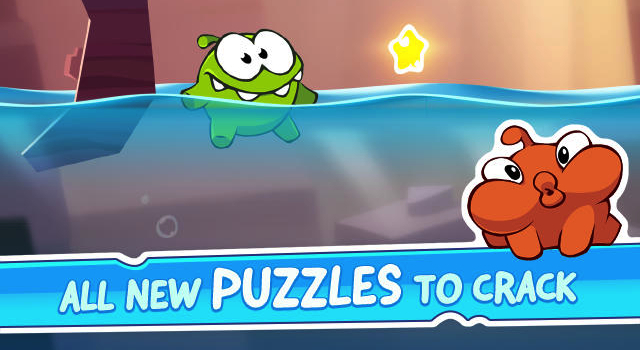 Developer ZeptoLab tinkered with new mechanics and brought plenty of new levels in two spinoff titles, Cut the Rope: Experiments and Cut the Rope: Time Travel, each of similar quality as the original. But OmNom was dying for a true sequel. Cut the Rope 2 delivered in every way. The core concept of manipulating the environment to ultimately land candy in OmNom’s mouth remained, but a colorful cast of new helper characters brought plenty of new ways to accomplish this task. Cut the Rope 2 felt wholly fresh while still remaining the same game we know and love, and proved OmNom’s antics are far from being over. However, it’s not just a supplemental experience, as The Fall holds its own as an engaging first-person shooter. The best part is that Deus Ex: The Fall really allows you to play as you see fit, either taking the ultra-stealthy route and completing the game undetected or just going in guns blazing and blasting every enemy in your sights. Or, somewhere in-between, it’s up to you. For both existing Deus Ex fans and newcomers, The Fall is a mobile entry in the series that stands tall on its own. 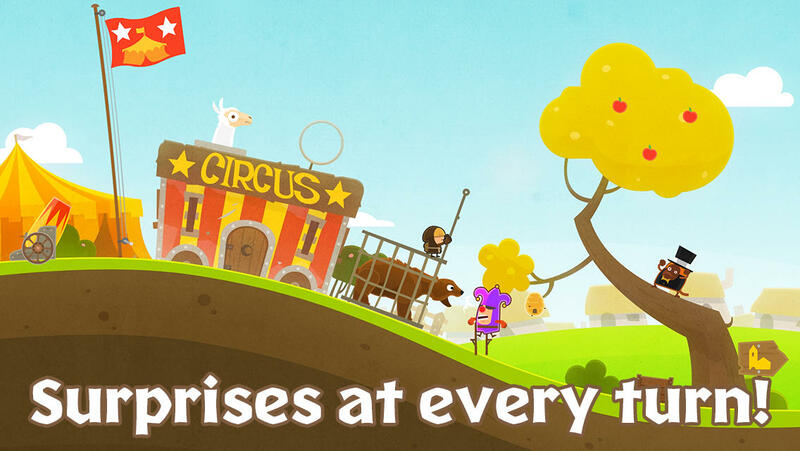 Simogo has made a name for themselves in mobile building unique touchscreen experiences with cute and whimsical graphics. They showed their more haunting side with the excellent Year Walk earlier in the year, and again blew everyone’s minds with what you thought you could expect from a video game experience with Device 6 later in 2013. To put it bluntly, Device 6 is unlike anything I’ve ever seen in a video game before. 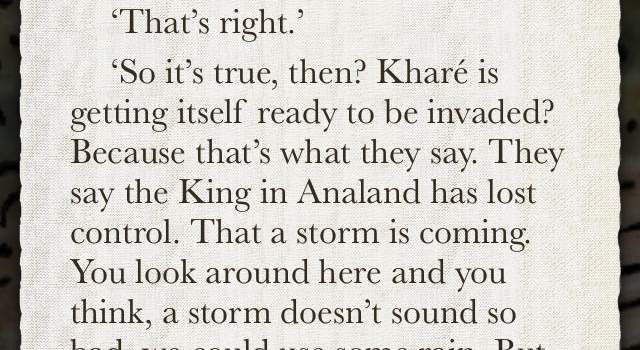 It could be described as an interactive gamebook of sorts, as the story is told via in-game text, but that would be doing it a disservice. The words themselves help paint the mysterious world in Device 6 in a truly magical way, and its complimented by interactive sounds and music which help to create the puzzles in the game. Device 6 is not a long experience, but it will make you rethink games, puzzles and storytelling, and it’s something that will stick with you long after you’ve completed it. If you would have told me a decade ago that I’d be playing one of the biggest and baddest games to ever grace the PlayStation 2 on a tiny device in the palm of my hand, I would have called you a dirty liar. But here we are. 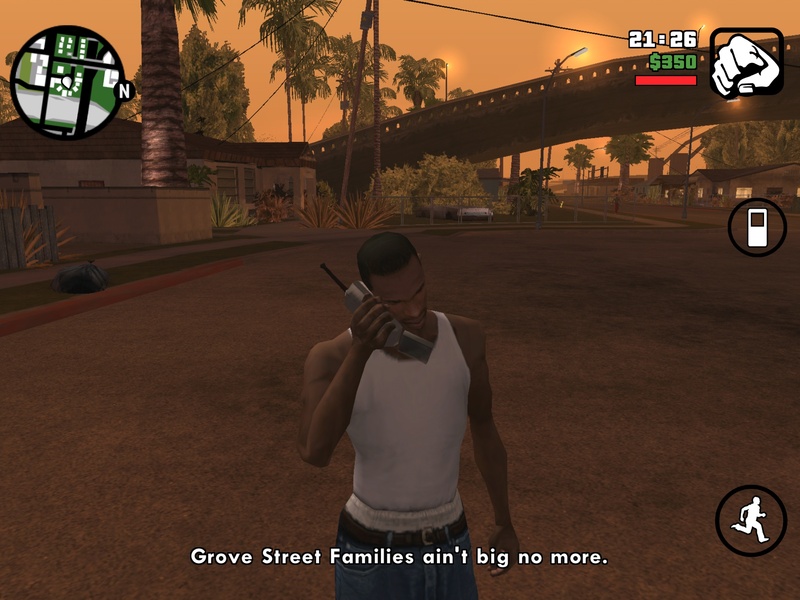 The expansive world of Grand Theft Auto: San Andreas has made the transition to mobile in epic fashion, and Rockstar has taken what they’ve learned by porting previous games in the series Grand Theft Auto III and Vice City and delivered an impressively playable experience in San Andreas with the most solid virtual controls yet. And if virtual buttons aren’t your thing, compatibility with the fledgling world of iOS 7 controllers will deliver the tactile feedback you desire. The iOS port of San Andreas features improved visuals and a smoothed out difficulty level, leaving you to just enjoy playing through the game and getting lost in a world of carjackings and murderous rampages while waiting for the train. I feel like “magical" is a word that gets tossed around too often when describing video games, but it feels oddly appropriate for Icycle. The game is a puzzle platformer that follows a man riding a bike, but my favorite part is the insane art style that unfolds before you. It’s like playing a dream, and some of the coolest segments of the game involve riding around levels that could never exist in real life, with non-sensical doors spitting you and your bike out all over the place as you pedal through the game. 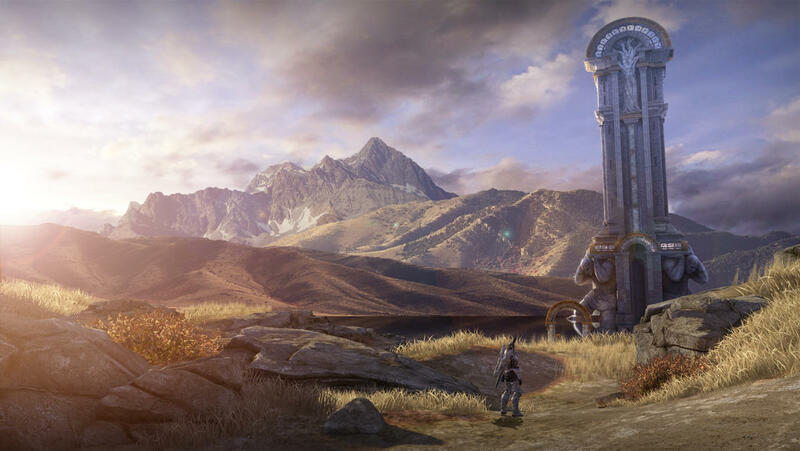 When Epic Games and Chair Entertainment launched the original Infinity Blade back in 2010, it really set the mark for what an original mobile game should be like. 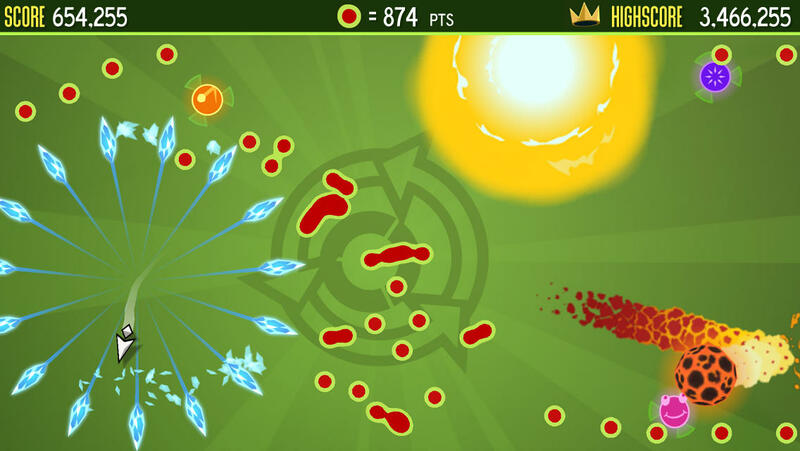 Its combat system was tailor made for the touchscreen, it had jaw-dropping graphics, and it was designed to be played over and over again in short or long bursts. With the release of two sequels, Chair iterated on all those core concepts that made Infinity Blade work so well, while also expanding the amount of content and fleshing out the fascinating lore of the Infinity Blade Universe. The culmination of this is Infinity Blade III. It features the largest world yet, the most quest, new playable characters, tons of new items and equipment, and just more of everything that makes Infinity Blade so great. That all applies to the initial release, but with the recent Ausar Rising content update, Infinity Blade III is bigger and better than ever, and can easily be played and replayed for years to come. 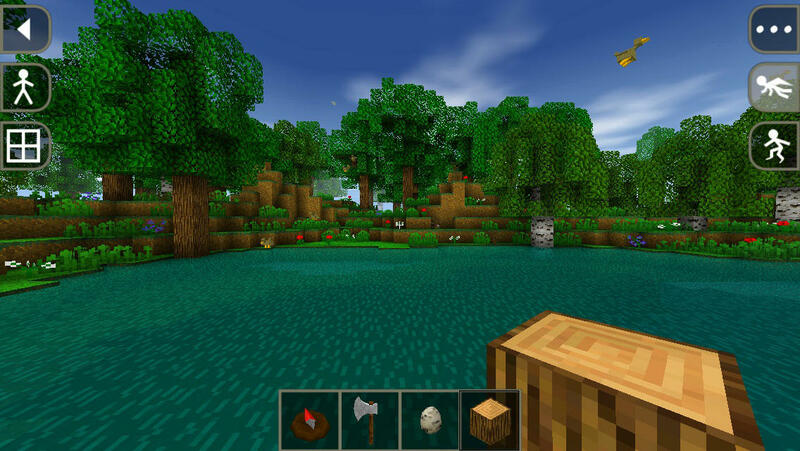 The “crafting" genre has exploded in recent years due to Minecraft’s success, and bringing a similar experience to mobile has always been tough due to the genre’s complex nature. Pixbits hit the nail on the head with the original Junk Jack, bringing all the fun of exploring new worlds and building and crafting whatever your brain could think of in a more simplified two-dimensional world. 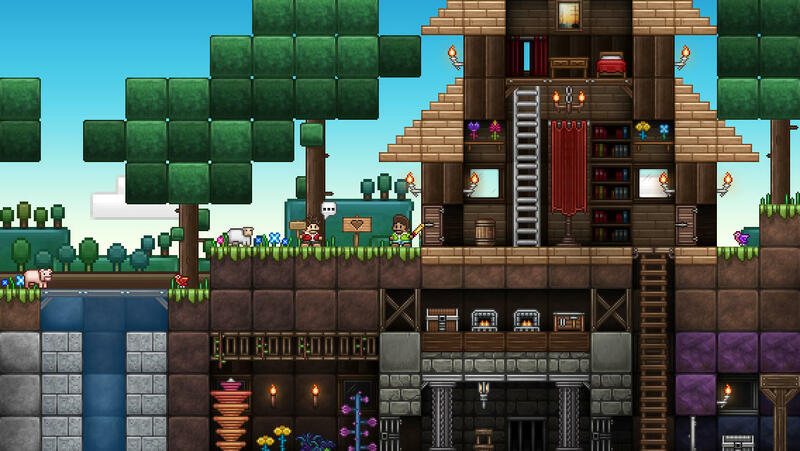 Junk Jack wasn’t just “Minecraft in 2D" though, and Pixbits’ dedication to constantly adding to and evolving their game caused it to blossom into one of the deepest experiences on iOS. The sequel, Junk Jack X, keeps everything that made the first game so great but offers so, so, so much more. New worlds to explore, new items to craft, new mobs to fight… everything you could ever want in a follow-up title. Given their history of updating, I expect Junk Jack X to continue the tradition by expanding and evolving for a long time to come. Wizards of the Coast has struck gold with the Duels of the Planeswalkers series of games, and while there isn’t a whole lot different about the 2014 iteration of the game, all it ever takes for Magic to be totally awesome is new cards. 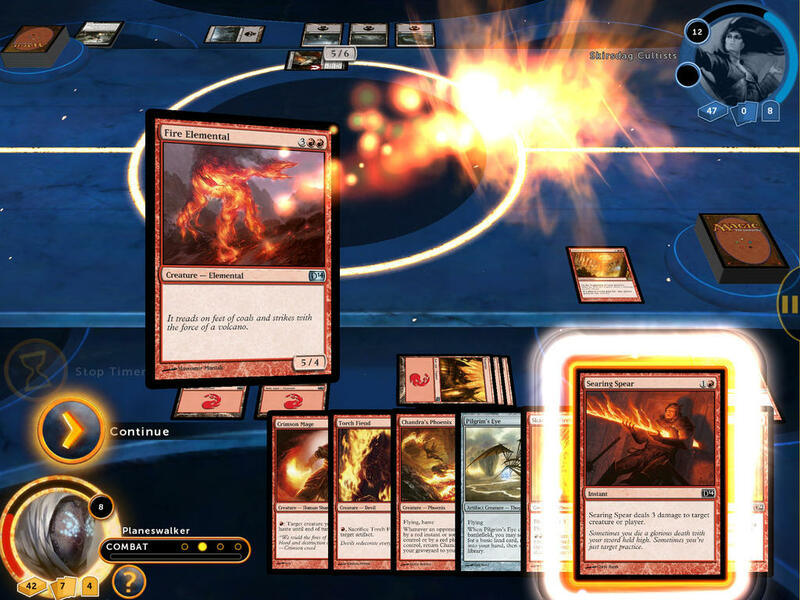 Magic 2014 comes packed with cards from all the new sets to play with, decks to unlock, and more. Also included is a new two headed giant mode, which is fun, but still not as good as playing the core game. All in all, these games serve as amazing tutorials to get you in to your local game shop to play the physical paper version of the game. At that goal, Magic 2014 totally succeeds. Being a huge platformer fan, I never could have imagined that two dudes named Mike, each with nominal experience in coding and pixel art, could have forged such an outstanding title for their first ever iOS release. But that’s exactly what they did with Mikey Shorts last year. 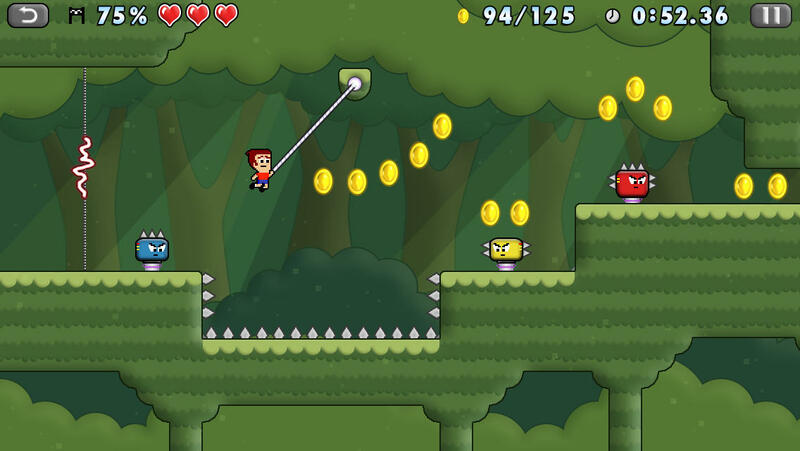 In 2013, Mikey got his first sequel with Mikey Hooks. Like its predecessor, Mikey Hooks featured outstanding level designs and spot-on controls, but threw a new hooking mechanic into the mix to shake things up. The hooking felt right at home in the formula, and it’s kind of like when you got a new GI Joe that had a switch on the back that’d make him do a karate chop. It’s just better with karate chops, and hooks. Just as I did with Mikey Shorts, I sat down and powered through Mikey Hooks from start to finish, and relished every moment of it. Mikey Hooks has been a mainstay on my device since its release, and although I’m nowhere near the level of the top competitors on the leaderboards, it still brings a smile to my face every time I fire it up. I can’t wait to see what’s next for the Mikey saga. Oceanhorn was one of the most highly-anticipated games when it was announced more than two years ago, mostly for its resemblance to several of the classic Legend of Zelda titles. This year it finally released, and despite such a long road of hype, largely lived up to gamers’ expectations. 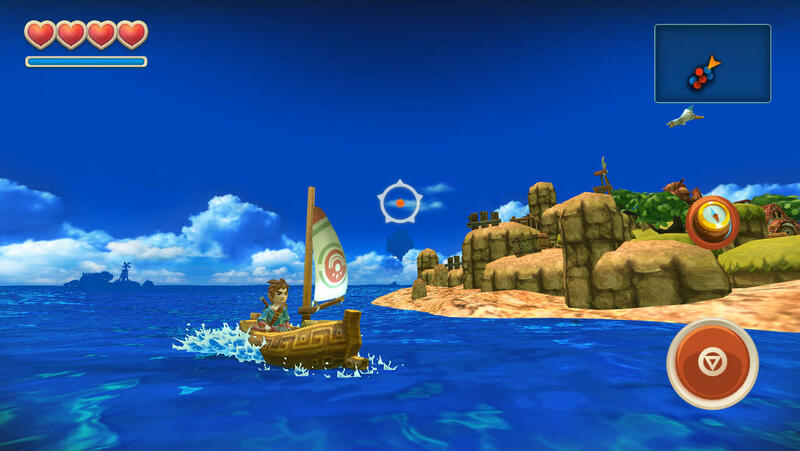 In a lot of ways, all the comparisons to Zelda don’t do Oceanhorn justice. Yes, it certainly mimics those games in a lot of ways, but more than anything Oceanhorn feels like its own experience. Its lush environments serve as the perfect place to tell the tale of the mystical sea creature Oceanhorn, and sailing the open sea in your boat and discovering new islands to explore proved to be a lot of fun. Along with challenging puzzles and a compelling story, Oceanhorn was one of the best adventures of 2013. 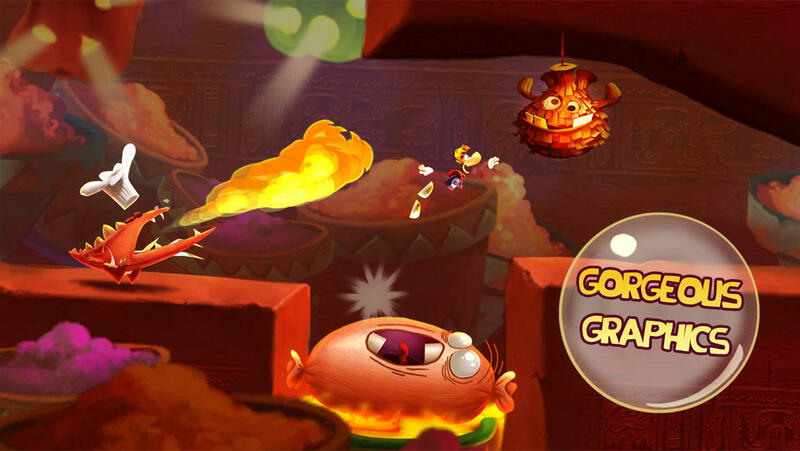 Rayman Jungle Run was one of the best runners last year, so it’d only make sense that its sequel would be just as great. While gameplay might seem a little basic, with most of the levels being pretty easy, the true challenge comes from replaying levels to collect everything- A task that is much easier said than done. The graphics are beautiful, the sound is amazing, and the new power up system is pretty cool too. There’s not a lot that’s totally new in Fiesta Run, but if you loved Jungle Run and wanted more, this is just what you need. Ok, ok, so technically neither Sonic The Hedgehog or its sequel are new titles per se, as they originally launched in the App Store in 2009 and 2010 respectively. However, for anyone who has spent even five minutes with Christian Whitehead and Simon Thomley’s remastered versions of both, they very much are brand new experiences. In fact, I choose to forget altogether that the original horribly-emulated ports ever even existed. 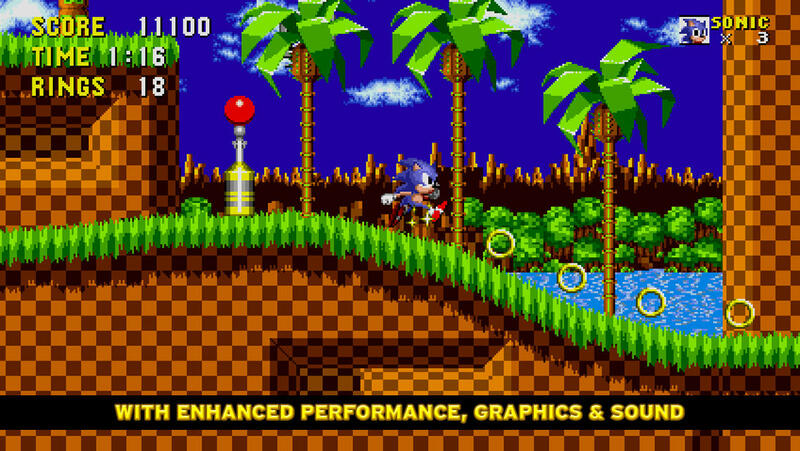 The remastered versions of Sonic 1 and 2 are sublime, featuring an incredibly smooth framerate, improved visuals, and fantastic virtual controls. What really pushes them over the edge though are all the little extras, like Time Attack and Boss Rush modes, the ability to play as Sonic, Tails or Knuckles in both games, Game Center support for leaderboards and achievements, and so much more. Don’t even get me started on the inclusion of Hidden Palace Zone. The remastered Sonics are simply love letters to Sonic fans, executed to perfection. If you’re a fan of the blue hedgehog’s antics, they should most definitely be in your collection. Game books have come a long way on the App Store, and while there’s a ton of good ones out there, none top the Sorcery! series. The stories themselves are great, the interaction with the game map and combat scenarios are super cool, and the magic system just elevates this game to a whole new level. I feel like the Sorcery! games really shine on the iPad, but if you’re even vaguely into the idea of a hyper-interactive choose your own adventure story be sure to check these games out. 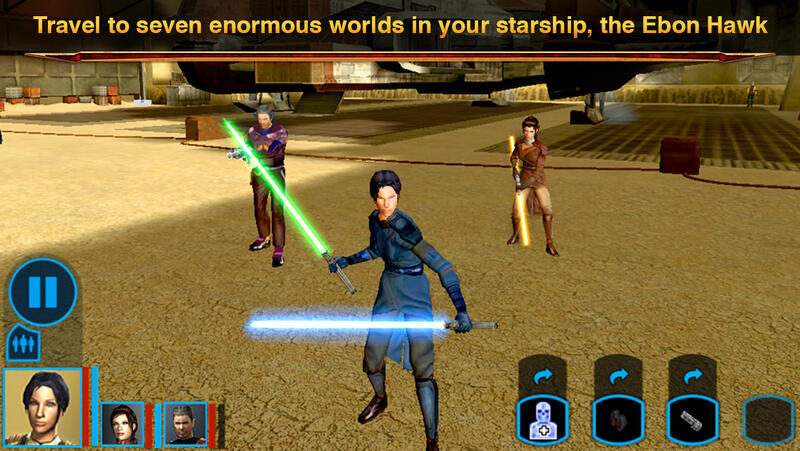 You can make a strong argument that KOTOR is still the best Star Wars game out there, and it’s even better now that I can carry it in my pocket on my phone. Controls are a little on the clunky side, but thankfully you never need any level of precision to make it through the game and all the combat is turn based. The highlight of KOTOR is your ability to essentially play the game twice, getting wholly different experiences if you align yourself to either the light or the dark side. The morality system is a little basic by today’s standards, but, this was some cutting edge stuff when it was originally released. Cramming the expansive, open-ended world of Minecraft onto mobile is no small feat, and even Mojang themselves have only been able to deliver a partial experience on iOS with their Minecraft – Pocket Edition. That makes it all the more impressive that one single person was able to create Survivalcraft. It contains everything you could want in a proper open-world crafting game on mobile. Limitless, randomly generated world? Check. Tons and tons of craftable items and weapons? Check. Deep, dark caves to happen upon and explore? Check. Add to that rideable animals, a food-growing system, electricity, and so much more, Survivalcraft is the Minecraft-alike you want if you felt underwhelmed by the official mobile version of Minecraft. It’s not simply a clone either, as Survivalcraft offers up plenty of its own ideas and has its own personality which sets it apart. If you crave the biggest adventure you can get on your mobile device, Survivalcraft is where it’s at. Featuring some of the best tilt controls, Tilt to Live 2 continues carrying the torch of insanity that Tilt to Live originally ignited. The idea of the game is simply tilting your device, and, well, not dying by colliding with red dots. That’s it. The way you avoid death is through loads of clever power ups and some super nimble tilting skills. It won’t take long for you to totally get into this game, resulting in a loop of “one more try" that seems to last for hours. Andreas Illiger’s Tiny Wings captured our hearts back in 2011, and many “me too" games came in its wake, but none that really measured up to the original. Developer Kumobius didn’t want to just emulate the Tiny Wings formula, but instead offer their own spin on the hill-sliding endless runner by adding a time-rewinding mechanic. The result was Time Surfer, and it totally works. One of the most satisfying things about playing a game like Tiny Wings is getting in a good rhythm and totally nailing your slides, but on the flip side it makes it all the more jarring when your perfect rhythm grinds to a screeching halt because you hit a hill wrong. Well, in Time Sufer, you can rewind that flub and give it another go. 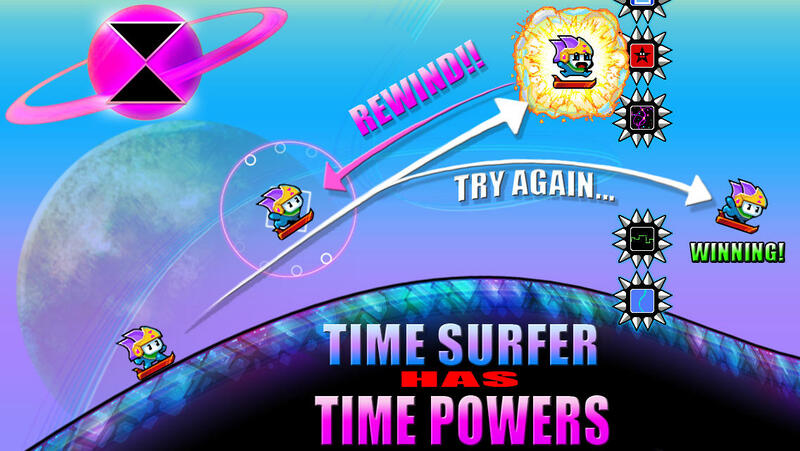 Beyond that, it adds all sorts of different environmental hazards, an assortment of power-ups, tons of different playable characters and lots more that make Time Surfer a spicy take on a tried and true formula. The ridiculously cute Tiny Thief takes the goofy logic that adventure games thrive on and applies it to craft some often hilarious puzzles to solve. Meeting the goal of each level typically involves setting off some kind of chain reaction to get rid of obstacles to allow you to reach whatever it is you’re thieving. For instance, in one of the pirate-themed stages. You’ve got to switch a pitcher of water with a sleepy potion, get the waiter to think the pirate is asking for water via a pulley attached to a parrot that squawks to alert the waiter. And in that same level, for some reason there’s a guy on a platform with a playable Three Card Monte. Because why wouldn’t there be? I could go on, but it’d spoil the surprises, and the main pleasure of this game is the surprise. For a number of years, the original Touchgrind was THE App Store’s skateboarding game. Its biggest strength was using the multitouch of iOS devices to transform your fingers into little legs that manipulated a tiny virtual skateboard. Impressive visuals and a great physics system completed the package, but the awkward top-down perspective felt like the biggest thing holding Touchgrind back from its full potential. Well, four years later and Touchgrind Skate 2 has proven that just the change from top-down to a third-person perspective was enough to make that original vision sing. 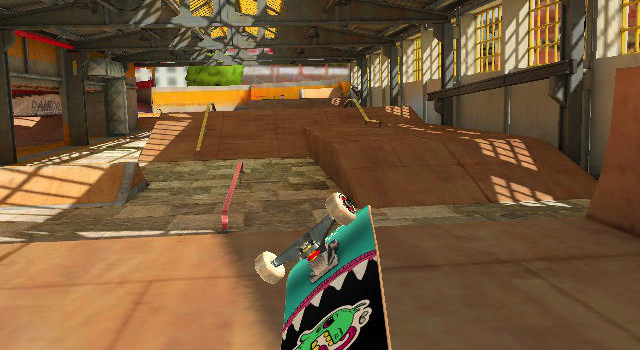 It’s not just a different viewpoint though, as Touchgrind Skate 2 adds a number of wonderfully designed levels to skate, deep board customization options, and perhaps the best implementation of a video replay system I’ve ever seen in an iOS game. For fans of the original, this is the game that you’ve been waiting for, and it was worth that wait. Console quality is the name of the game here, and this port is incredible. There’s so much content to play through in XCOM, the story is great, and the turn-based tactical gameplay just seems to work really well on iOS devices. 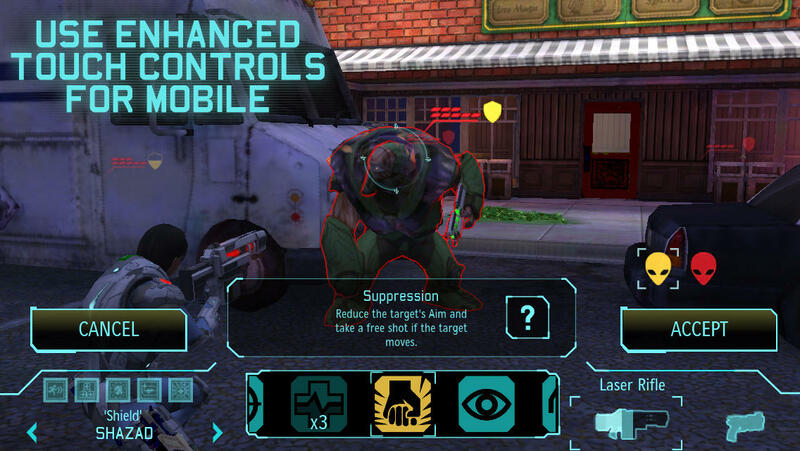 If you’ve played XCOM in the past on one of the (many) platforms it was originally released on, it’s still worth a second play through on your phone. If this is the first you’ve heard of it, if you like super deep games that are above and beyond what you typically see on the App Store, don’t miss this one.